A constitutional amendment adopted by voters in November requires a two-thirds majority of legislators in both chambers to approve a new state tax or a tax increase. Meanwhile, taxpayers in 56 of Florida’s 67 counties, and in 19 school districts across the state, are paying $4.3 billion annually in "local option" sales tax levies to build schools, widen roads or finance mass transit projects. Eight of 11 such "local option" sales tax increases were approved in referendums in 2018. Florida Republicans say it is just too easy for local governments and school districts to persuade local taxpayers to tax themselves for projects and services they rarely need and often can’t afford. Two advancing bills seek to apply the same two-thirds adoption threshold that state lawmakers must secure to "local option" sales tax referendums and to prohibit "local option" sales tax referendums from being placed before voters in "special elections." 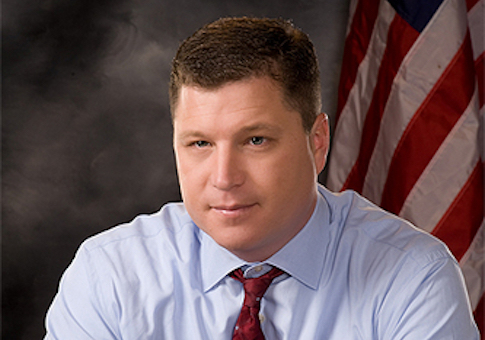 Senate Bill 336, sponsored by Sen. Jeff Brandes, R-St. Petersburg, was approved Wednesday by the Senate Finance & Tax Committee in a 6-2 vote. SB 336 would require any referendum to adopt or amend a "local-option" sales-tax increase appear only on November general election ballots. The bill was approved on Feb. 13 by Senate Ethics & Elections Committee in a 5-2 vote. It now goes before the Rules Committee, the last stop before being presented for a chamber vote. In discussing SB 336 Wednesday before the Senate Finance & Tax Committee, Brandes noted the Florida League of Cities and Florida Association of Counties were not opposed to the bill. "It always warms my heart to have the counties and the cities join me on a piece of legislation," he quipped. "It happens so rarely these days." Brandes said the bill could be tweaked to add a requirement that projects to be funded by "local option" sales tax hikes have clearly stated termination dates rather than "temporary" increases that "last three decades." This bill "provides needed accountability and transparency," said Americans For Prosperity-Florida Policy Director Chris Hudson, noting that Voluisa County is spearheading a half-penny sales tax extension that will be presented to voters in a May 21 special election that few taxpayers will know about and even fewer will turn out for. Municipalities and school districts should not fear the measure, Hudson said. "If their arguments are sound, then they should have no problem getting people to vote for it," he said. House Bill 5, sponsored by Rep. Nick DiCeglie, R-Indian Rocks Beach, also requires any "local option" sales tax referendum to levy a sales tax to be presented to voters only during general elections, but also requires approval by two-thirds of voters. HB 5 was approved by the Local, Federal & Veterans Affairs Subcommittee in a 9-3 vote on March 5 and by the House Ways & Means Committee, 12-5, on March 12. It awaits a hearing before the State Affairs Committee. The panel meets Thursday but as of Wednesday afternoon, HB 5 was not on the agenda. In previous committee hearings, HB 5 proponents have argued this bill is necessary because special interest groups that want to tap into "local option" sales tax revenues to secure funding for projects know its odds of passing are better when placed before voters in a single-issue "special election" that usually draw sparse turnouts. House Republicans say more than a simple majority should be required to approve a tax hike. Of the eight sales-tax measures approved by voters in November, only three passed with more than two-thirds of the vote, they note. Also during committee discussions, opponents have cited the bills as yet another example of the Legislature imposing state preemption on local governments, claiming it degrades local governments’ constitutional capacity for home rule, committing the same "overreach" Tallahassee lawmakers frequently accuse Congress of. Critics maintain that the Legislature’s funding decisions often force local governments and school districts to ask voters to approve measures that fill in the gaps, especially when school boards must meet security demands ordered by lawmakers last year following the Valentine’s Day Marjory Stoneman Douglas school shooting. This entry was posted in Issues and tagged Taxes. Bookmark the permalink.